Spring into action in 2018 with the Céilí Mór Loch Garman at The Talbot Hotel, Wexford on Saturday, Feb 17 (8pm). Adm €15 (€10 conc) with proceeds going to Friends of Wexford General Hospital's MRI Now Appeal. The hotel is laying on tasty finger-food and the boys from Yellowbelly Beer will be manning the taps offering samples of their latest brews. What to expect? An evening of dancing under the watchful eye of 'caller' John O'Byrne with music provided by the Wexford Comhaltas house band. The good news is that you don't need to be an expert dancer as John and his assistants will be on hand to lead (and drag!) you through the steps. Once you have had your fill of scaling The Walls of Limerick and leaping through The Waves of Tory you can sit back and enjoy a demonstration of dancing courtesy of the Sullivan Academy of Irish Dancing and Niamh Page’s Sean Nós dancers. 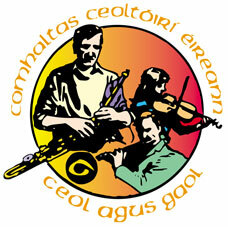 Bringing the evening to a close will be some of Wexford's top young traditional musicians. It might be pushing it to say that this will be Wexford's social event of the month. However, the one thing that is certain is that it will be really good fun. It will also improve your coordination and give you a good workout! Organised by the Craobh Loch Garman and Wexford Chamber. This is the first in an exciting programme of events as Wexford gets ready bto bid for Fleadh 2020. Bígí linn!